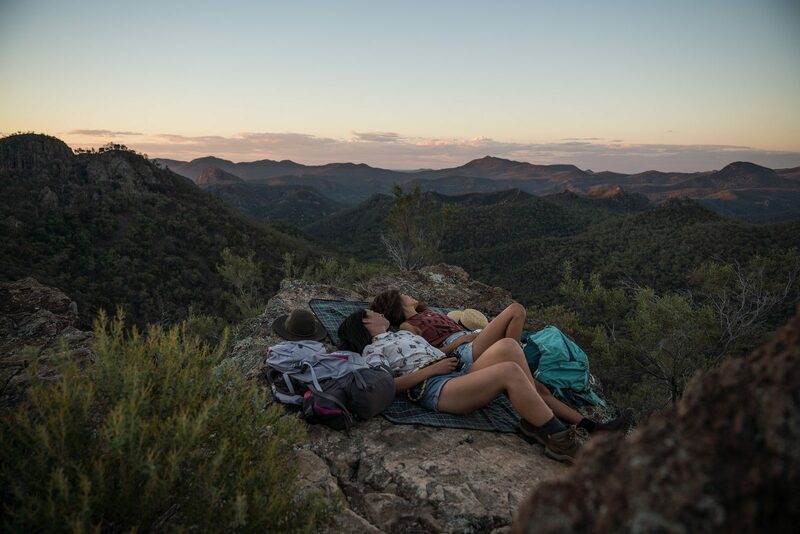 Warrumbungle National Park Robert Mulally / OEH, 2018 Epic heights to dream up the next adventure. An astronomers’ and star lovers’ dream, and for good reason. The Warrumbungles, home to Australia’s first and only International Dark Sky Park and some of Australia’s most unique mountainous landscapes. We all know it’s hard to beat the serenity of staring towards the stars and the glistening milky way, and this is just the place to do so. Being a dark sky area, there is zilch light pollution, so the stars shine brighter than you’ve ever seen before! You’ll also be intrigued by the epic shapes of the rugged volcanic mountains and the ever changing vegetation. Rising out of the surrounding desert plains, these mountains feel oddly placed, truly wild and otherworldly. 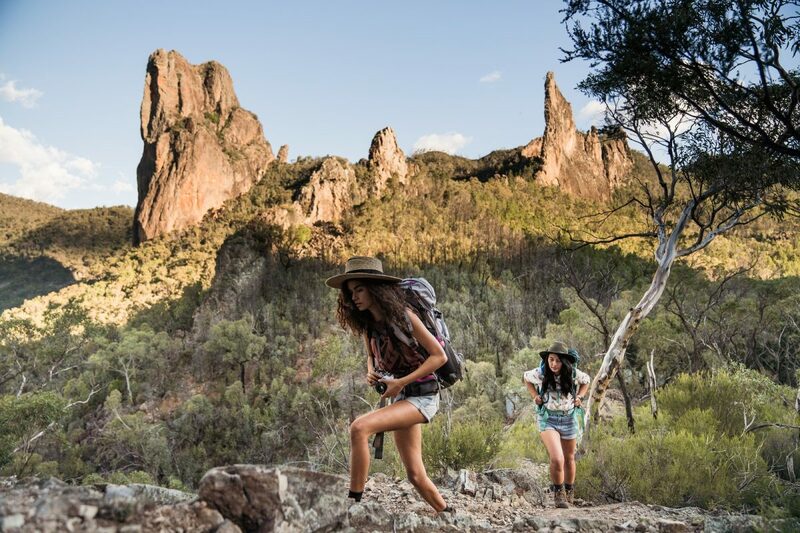 The Warrumbungles experience will take you out of this planet. Gearing up for a Warrumbungles adventure. Welcome to the astronomy capital of Australia. 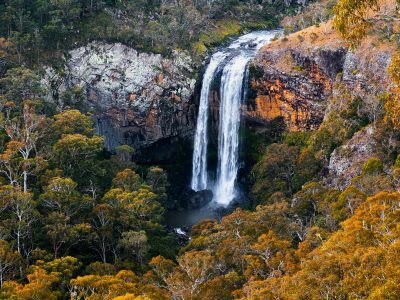 Located six hours drive north-west of Sydney and a 25 minute drive west of Coonabarabran, this adventure is definitely road trip worthy. So pack your car and get on the road for a couple of days. 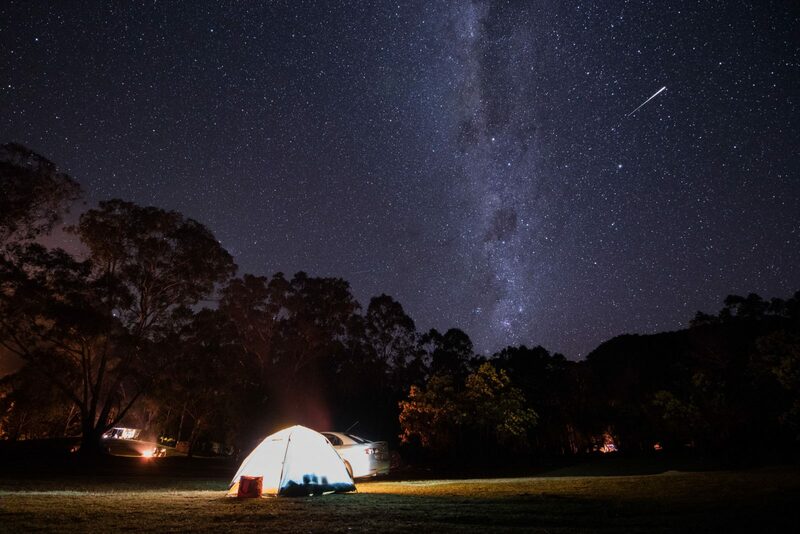 You’ll need some hiking boots, a camera and tripod for star photography, some marshmallows and some great camp vibes. 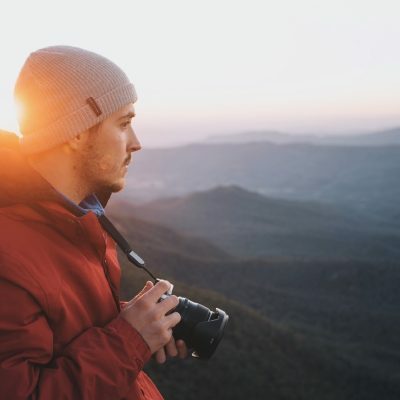 With activities like rock climbing, hiking and camping under the stars, any outdoor lover will feel right at home, and even if it’s your first adventure outdoors, you’ll quickly feel a connection to this wild and rugged wilderness. You’ve got your supplies and you’re itching to get into the park. About 25 minutes drive in from Coonabarabran, as you follow the road into the national park, pull off to the left at the signposted Whitegum Lookout carpark. 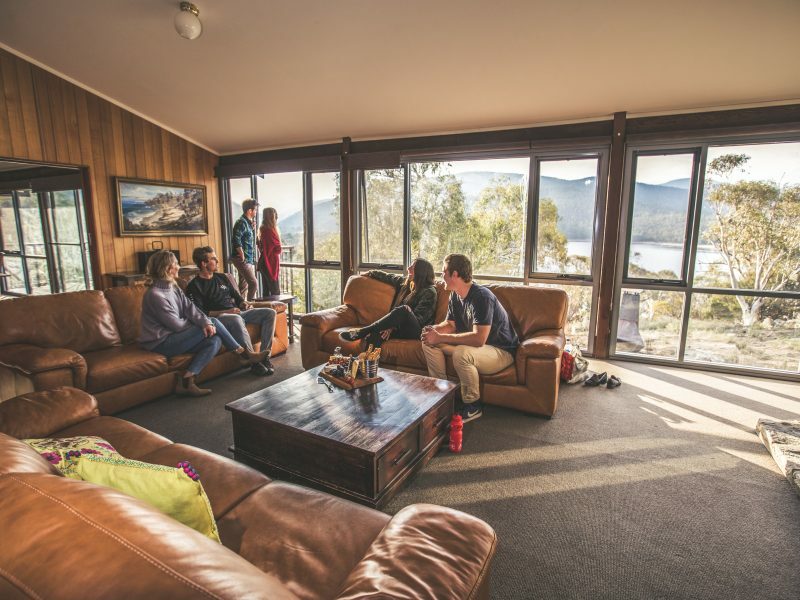 This short walk just off the road brings you to a stunning small lookout that has sweeping views of the central area of the park. From this viewpoint you’ll get a sense of the adventure to come and the scale of the area. Get familiar with the mountains in the distance while enjoying a hot drink and a packed lunch. After your picnic, drive towards the visitor centre if you want any extra information or tips from local rangers. The real life big screen experience of the Breadknife and Grand High Tops. Regarded as one of the best walks in the country… yes, it’s that good. The 14.5km and 5-6hr Breadknife and Grand High Tops walk is a loop that has the vistas and scenery that photographers and nature enthusiasts drool over. Featuring sharp, steep, and mind-blowingly huge mountains, this hike will leave any walker in a state of nature overload. The climb is quite steep towards the end, but you’ll feel on top the world once you’re there. 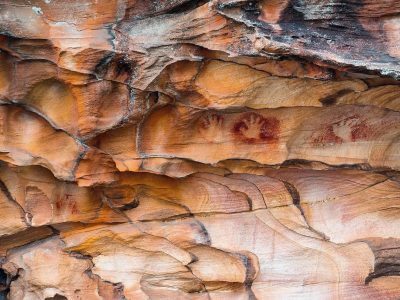 Take in the expansive views of this prehistoric wilderness overlooking the Breadknife; a 100m high, 1m wide jagged rock face, one of the most distinctive sights in the park. 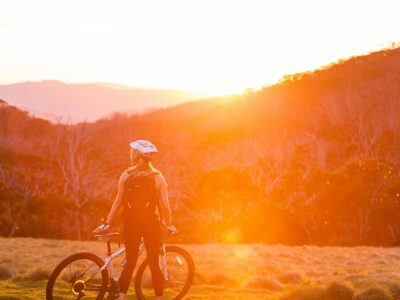 Spend sunset up the top and watch the mountain faces change colour as the sun dips below the horizon. It’s not called the Grand High Tops for no reason, so make sure you carry plenty of water for this hike and bring with you at least 1L of water. Pro Tip: Remember to layer up as it can get bitterly cold in the wind, and have a good head torch handy (make sure to carry some spare batteries) if you’re coming back down in the dark. Sitting back for that full wide screen, crystal clear display of the universe, found in the Warrumbungles. Yes, that is the moon. You better believe it. 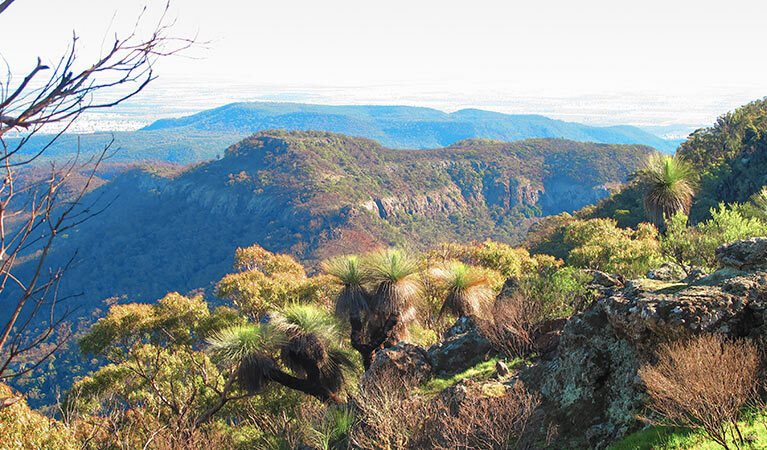 Camp Blackman is the ideal campground for your stay at the Warrumbungle national park. The campground is spacious, has hot showers, designated fire pits, and best of all it’s nestled in the beauty of nature. Pull up in your car, motorhome or caravan and pick your spot; you’ll feel at home instantly. 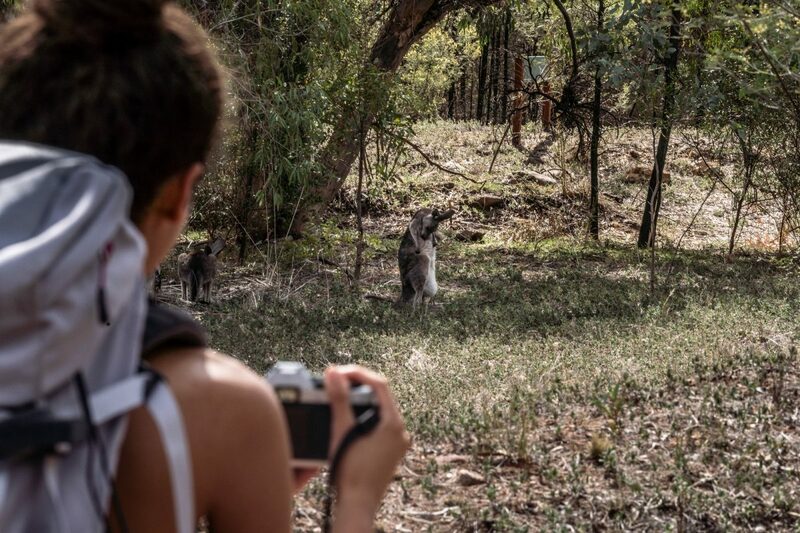 Kangaroos bask in the afternoon sun all around the campground, and you can spot koalas dozing off in the nearby trees as well as emus in the surrounding plains. There’s 102 campsites, with 32 of them being powered if you need the juice. If you’re cooking up a delicious backcountry feast, remember to leave no trace, and always leave it how you found it. 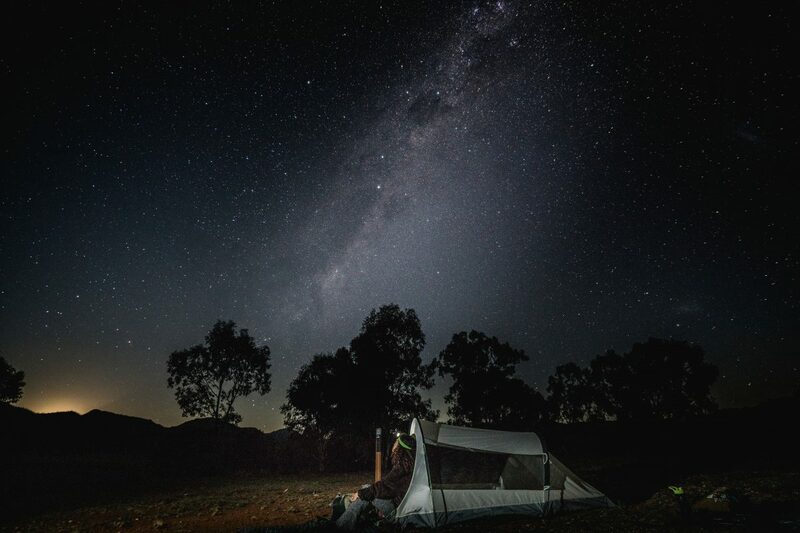 Stargazing is one of the most popular things to do in the Warrumbungles and on a clear night especially in winter, nothing comes close to the beauty of the night sky. 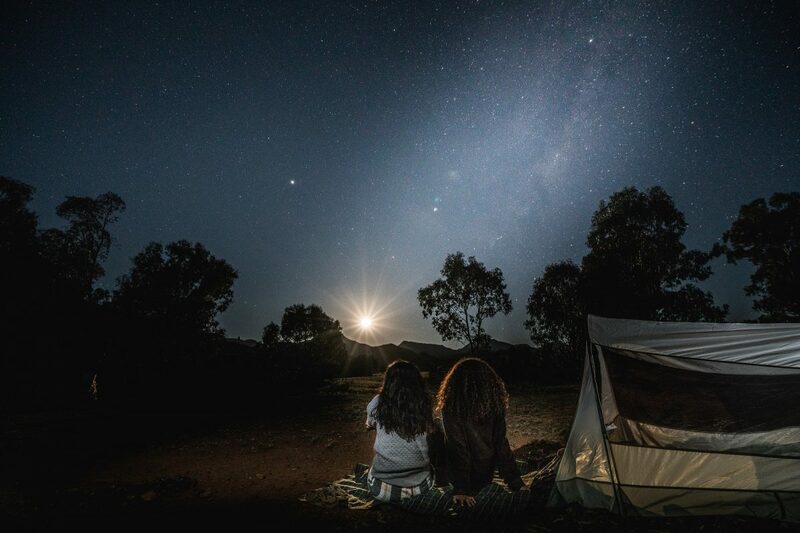 So turn your lights off and sit back for that full wide screen, crystal clear display of the universe, found only in the Warrumbungles. Ranger Tip : Avoid shining your torches into the sky! This helps to reduce light pollution for yourself and others stargazing experience. If you’re the adventurer who craves that feeling of solitude and quietness, consider an overnight camp at Camp Pincham bush camp. This campsite is scattered with stunning wildflowers and flourishes in natural character. You really get that ‘bush’ camp feeling, and it’s not one to easily forget. If you’ve already done a walk or two and you’re not sure what to do next, look no further than the walks below. 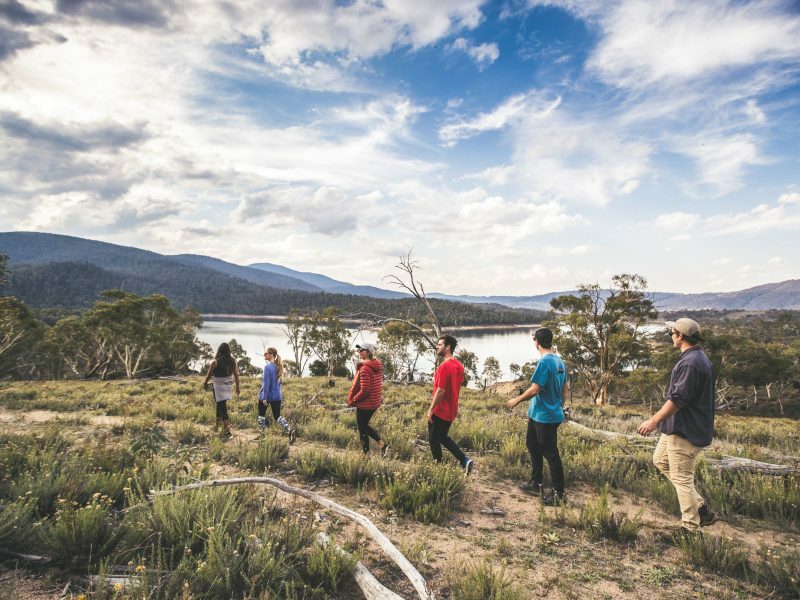 The park offer hikes for all walks of life, fitness ability and age groups, starting with the easy Burbie Canyon walk track, advancing to the harder Belougery Split Rock track, then onto the hardest; Mount Exmouth walking track. Since you’re in the Australia’s first and only International Dark Sky Park why not make our Dark Sky rice? If long treks aren’t really your thing, you can try this short 2km stroll through the Burbie Canyon sandstone gorge. You’ll only need 30 minutes to an hour to complete the walk, and you’ll be greeted by all the local wildlife along the way. Peregrine falcons and turquoise parrots fly overhead and you may even spot koala dozing off in a eucalyptus tree. Bring your camera because you’re bound to get a great shot! And don’t forget your binoculars to get up close to the animals. For this one you’ll want plenty of water and some grippy shoes. This short, steep but sweet hike will take you 2.5-3.5hrs to do (4.6km return and not recommended in wet conditions) and takes you to the top of one of the more distinctive mountains in the park. If good views are your thing, then this track is for you! To summit the mountain it requires a rock scramble up some steps carved into the rocky knoll, however it’s not difficult and is actually really fun. Nevertheless, once at the top, sweeping views out towards the Grand High Tops in the distance make all the hard work, sweat and exertion worth it. Better yet, you feel like you’ve achieved something great, and that’s what makes hiking so epic! 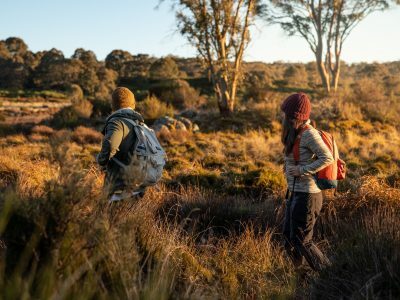 If you’re an avid hiker, Mount Exmouth walking track is definitely up your alley. 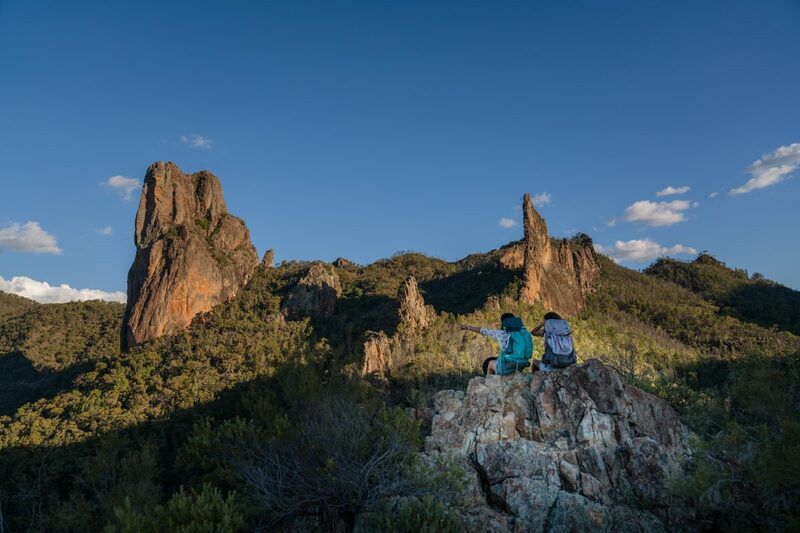 It’s a 17km round journey and takes you to the highest point of the Warrumbungle range, Mount Exmouth, sitting at a cool 1206m. The track itself has limited signage, so be prepared before you set off, and for peace of mind, take a topographic map and a GPS so you’re up to date information on track status and recommended routes etc. The track has short but steep sections and will roughly take 5-7 hours return. Getting to the top is extremely rewarding, with 360 degree views that overlook the entire park and onwards to the horizon, setup a picnic blanket and have lunch at the top. Make sure you hike with at least 1L of water as this is another walk with epic heights, you’ll be grateful later. So are you now convinced on a trip out west? 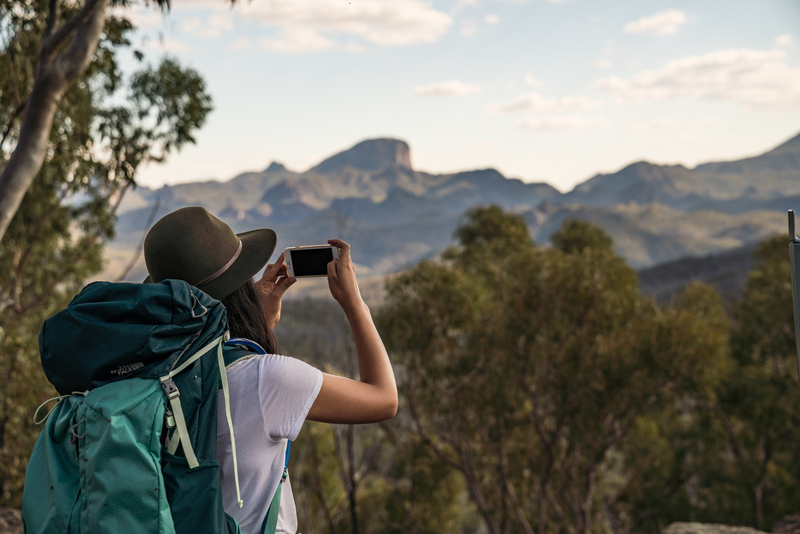 For an unforgettable experience you can’t get anywhere else in Australia, the Warrumbungles put on a show! 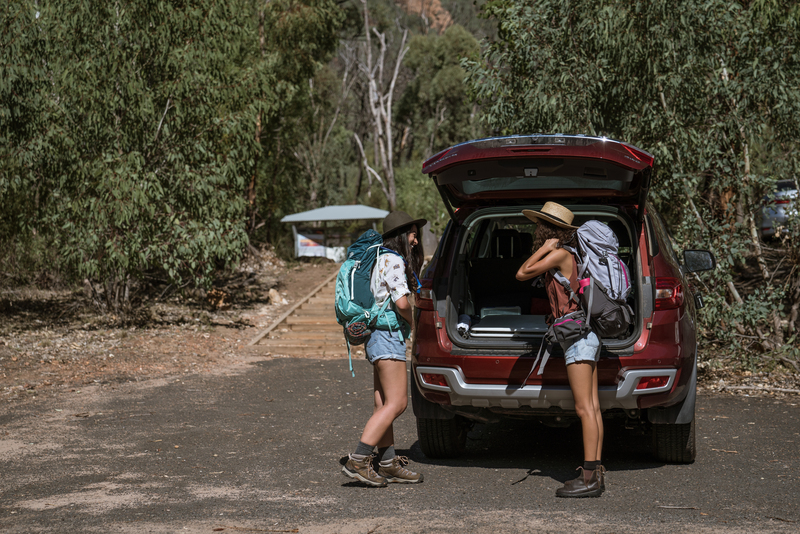 Now that you’re all itching to get out on the road, make sure you plan for at least a three or four day trip so you can explore the whole area. There’s so much to do and see, you’ll be wanting to return before you even leave home. Trees in Warrumbungle National Park have been impacted as a result of the 2013 bushfire and may fall without warning or drop branches. For your safety do not sit, stand or camp under large trees or overhanging branches, especially during windy or wet conditions.